RESIDENTIAL - Located just minutes outside of Lakefield, this extraordinary restored Century Home offers original charm with modern features. Architectural pleasing and impressive designs! Check out the original features like the hardwood flooring, the large dark maple baseboards, 9` ceilings and the beautiful grand staircase. Modern features include the galley kitchen that offers ergonocomically superior layout for your baking and cooking needs. This 2.5 storey home also features 4 bedrooms, breakfast bar in kitchen, wood burning stove, 40` x 25` deck, 1.88 acre lot, maple tree lined driveway and large soaker tub. Other recent upgrades that have been completed include; full electrical, plumbing, wall and attic insulation, some windows, new tile bed for septic, water system and fireplace. Easy commute to highway 115, Peterborough and many many local Lakes. What is a CMA and why do you need one for your home? 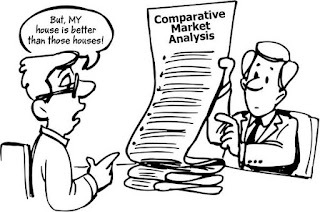 CMA stands for Comparative Market Analysis and is the best tool to estimate a value for your property by using comparable sales in your neighbourhood. So if you are buying, selling or refinancing your home's dollar value is an important number to know. As a Seller a CMA will help you determine a correct asking price, an idea of length of time on the market and your competition if any. As a Buyer a CMA will help you determine an offer price, and if the home will appraise for financing. What you look for in a CMA is a picture of your local market. It will include current listings, sales and expired. Current listings are your "competition". 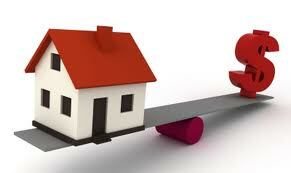 The sales represent the most recent activities and give you a benchmark of your current price. The expired listing are listings that did not sell during its listing period. This will give you an idea what is too much as an asking price. Analysing these numbers will help you avoid the dangers of overpricing your home. Keep in mind that estimating the sales price of your home through a CMA involves a certain amount of market knowledge, current sales and some guesswork. CMA's are snapshot in time so it will change. 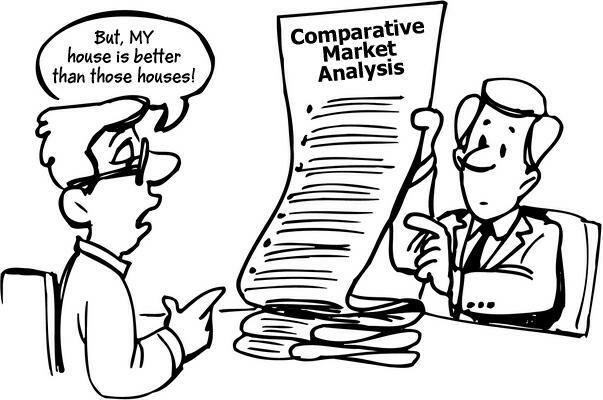 Remember that a CMA is not an appraisal. Also on Saturday was the Polar Paddle. Teams of six pushed or pulled canoes down Queen Street in Lakefield. The canoes were on wheels and participants will be dressed in costumes. Re/Max also was able to get the ballon up for some rides! I was helping out at the plunge so I was not able to get pictures. Here is a video. BEAUTIFUL COUNTRY SETTING ON LARGE LOT. ALL BRICK BUNGALOW, 3+1 BEDROOM, 2 BATHROOM 1,450 SQ. FT. FAMILY HOME. BRIGHT AND CLEAN, READY FOR YOU TO MOVE IN. ATTACHED 1.5 CAR GARAGE AND DETACHED TWO CAR GARAGE FOR YOUR TOYS!! LOCATED JUST MINUTES FROM PETERBOROUGH OR BRIDGENORTH MAKES A GREAT LOCATION FOR COMMUTERS. HOME FEATURES LARGE BRIGHT KITCHEN WITH EATING AREA AND WALKOUT TO DECK, MAIN FLOOR LAUNDRY ROOM AND FAMILY ROOM WITH LARGE WINDOWS, MASTER BEDROOM WITH 2 PIECE ENSUITE BATH. FULL BASEMENT OFFERS REC ROOM AREA BUT IS CURRENTLY A WORKSHOP, 4TH BEDROOM, WET BAR AND TONS OF STORAGE. SOLID HOME AND AVAILABLE IMMEDIATELY. This was the only commercial that I enjoyed during the Superbowl. It really is the truth about the "Farmer"